Bernie had a happy life with his family and had no reason to be afraid. He carried his special blanket everywhere with him. Life was good - until his family gave him up and Bernie lost his home, his blanket and everything he'd ever known. 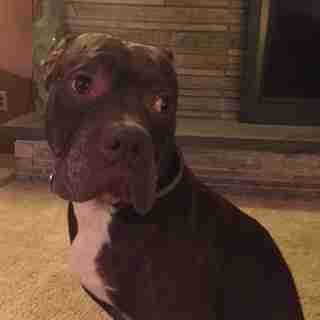 Bernie, a 7-year-old pit bull, had been with the same family since he was a puppy, until the family decided they no longer had time for Bernie. Their reason? They had no social life. 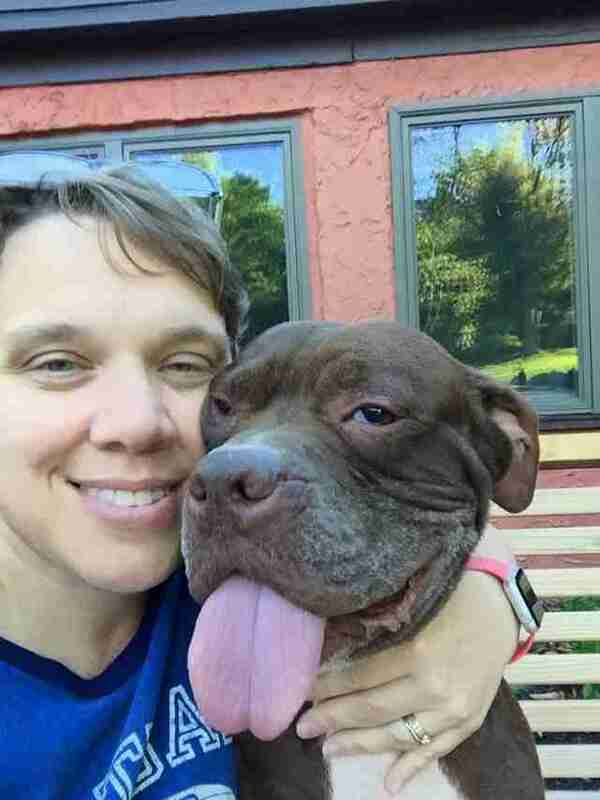 "Bernie's prior owner noted on intake at [the Manhattan Animal Care Center (ACC)] that he carried a baby blanket with him everywhere," Jana Reiss, a volunteer with Second Chance Rescue NYC, told The Dodo. "They did not leave it with him when they surrendered him." Bernie was surrendered to the ACC, where he was put on the list to be euthanized. As if he wasn't already facing enough, while in the shelter, Bernie developed pneumonia. Bernie was pulled from the shelter by Second Chance Rescue NYC and taken to its emergency vets to get immediate treatment. He was having trouble breathing and was ultimately fighting for his life. The medical costs were enormous, but with help from donations Bernie received the treatment he needed. Reiss was able to find Bernie a foster home with a friend of hers, though still takes him to vet appointments and on day trips. "He is the sweetest dog in the world," Reiss said. "There is really not a bad thing to say about Bernie." 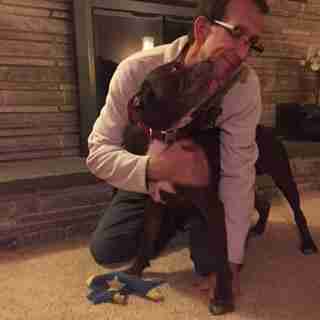 Bernie loves his foster home, where he has a big backyard that he gets to play in whenever he wants. He has all sorts of new dog friends to interact with and is fantastic with all kids and even cats. He sleeps with his new family's little boy every night, and loves to swim, play and get ice cream with the whole family. In his old home, Bernie carried his favorite blanket with him everywhere. 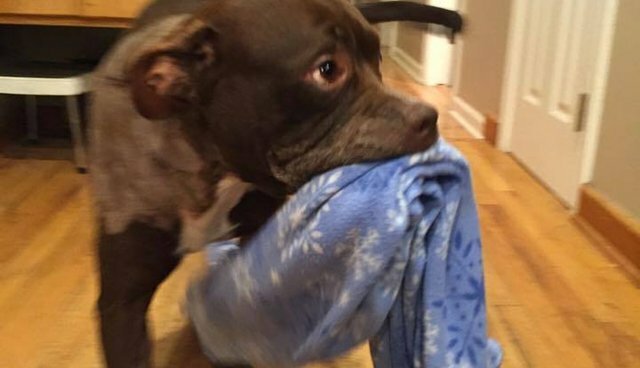 In his foster home, Bernie has been able to find a new blanket to replace his old one. "He has lots of toys to play with now. He still likes to carry a blanket too," Reiss said. Bernie has survived abandonment, the shelter's kill list, pneumonia and mange - and now has a huge mass on his neck that needs to be removed. He's been put through the ringer, but now all Bernie wants is to find a new forever family to love him unconditionally - and someone who might have a few blankets lying around that he can have, too. 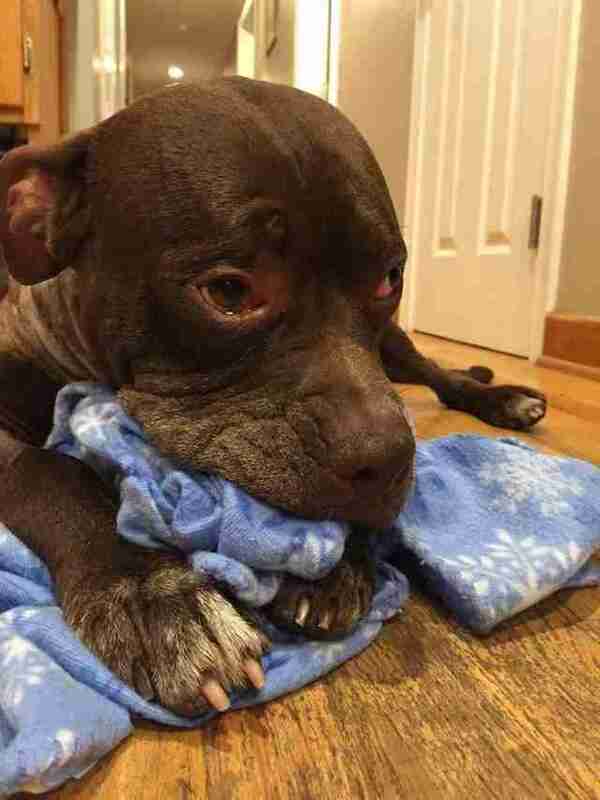 If you would like to donate to help Bernie get the surgery he needs, you can check out his donation page, or to adopt Bernie, visit his adoption page to get the process started.